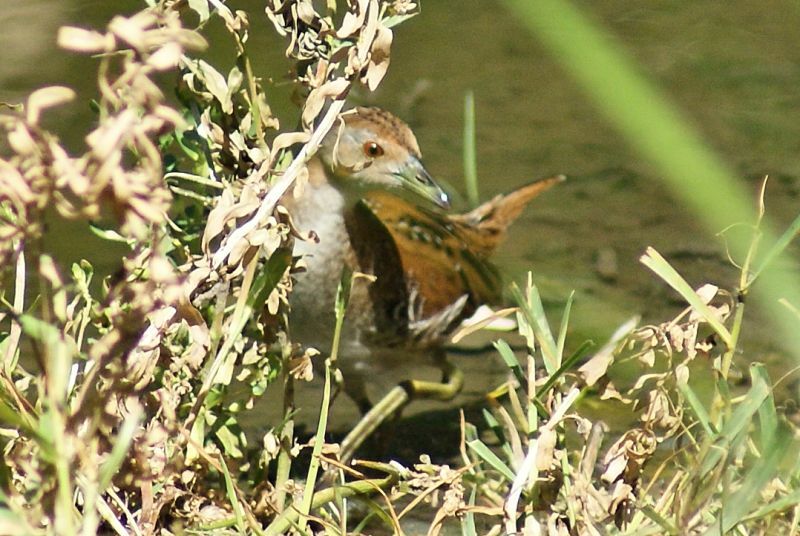 At 16-18 cm, Baillon's Crake is even smaller than the related Australian Crake. As with its relative, they are found in reedy lakes, ponds and streams, foraging for invertebrates and being seen mainly when the water levels have dropped to reveal bare mud. They have more brown on the back and grey cheeks and also are barred under the tail. They occur through a similar range to the Australian Crake in Australia, but are also found through Asia and into Europe.